Healthy and Confident Singing Voice: Adele cancels US Tour for good reason! What can we learn? Take care of your voice and take care of you! Adele cancels US Tour for good reason! What can we learn? Take care of your voice and take care of you! Recent cancellation of the rescheduled US Concert Tour for Adele is cause to really think about how we are treating our own singing voices. She is doing the wisest thing she can by listening to her doctors and taking a break from singing to get vocal rehabilitation. Singing is a joy and a means of sharing our souls. We must pay attention to our bodies and respond to what they are telling us. If it doesn’t feel good or you are seriously sick, don’t sing or you could face some troubled roads ahead. When the vocal cords are damaged either from overuse or abuse, they leak and spread under the surface just like a bruise. The blood accumulating under the surface makes it harder for the vocal cords to vibrate, causing a sudden change in the voice. Like a black eye, the bruise will heal. But recurrent damage can cause scar tissue to build up and cause a permanent change in a person's voice. "The typical scenario is, a singer will say, 'I was doing fine and then all of a sudden, in the middle of a show or a rehearsal, I had a break in my voice and couldn't sing well anymore.’” Dr. Gaelyn Garrett, medical director of the Vanderbilt Voice Center in Nashville. What does this mean to you? Listen to your body at all times. 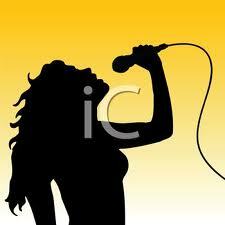 As a singer, your body is your instrument and it should be taken care of. Good technique, adequate sleep, plenty of water, a good diet and exercise are essential. There are good guidelines to follow in my blog www.findyoursingingvoice.blogspot.com/2011/04healthy-voice-and-healthy-you.html. Also, warm up when you are under the weather and ask yourself if it feels okay to sing and do you really need to do that performance or can it be rescheduled? www.findyoursingingvoice.blogspot.com/2011/04to-sing-or-not-to-sing.html. If it does not feel good, seek the advice of a voice professional and/or otolaryngologist (ENT). Most of all, keep singing and sharing your music with the world!